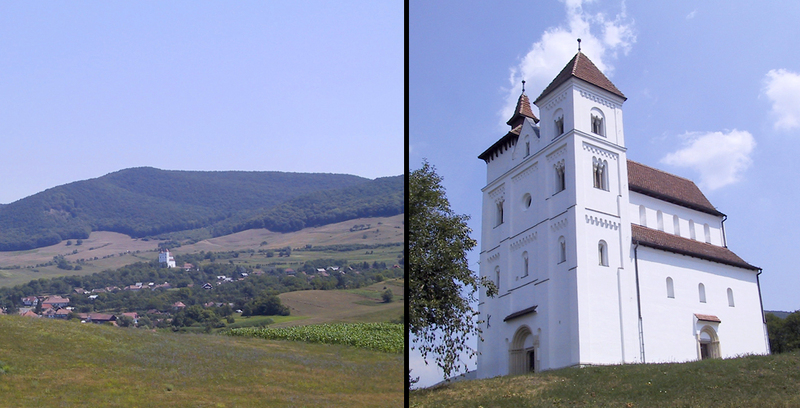 The traveler reaching northern Transylvania is welcomed, on the highlands in the eastern side of Herina, by an imposing castle-like monument. 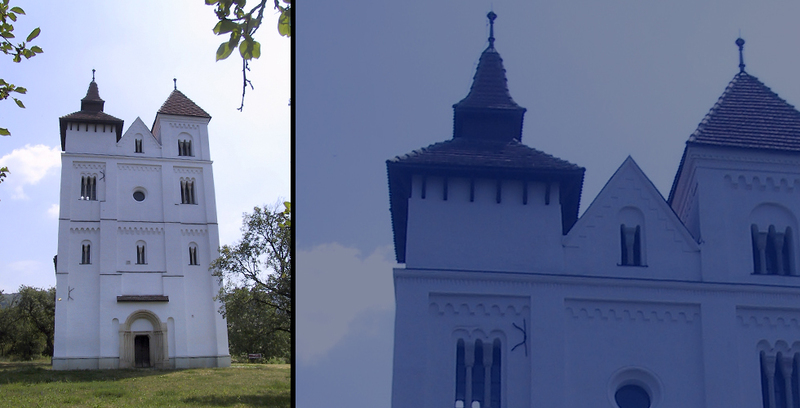 It is the evangelic church of the village, one of the oldest and stylistically most unitary architectural monuments in Romania, and an important mark of medieval architecture in Central Europe. 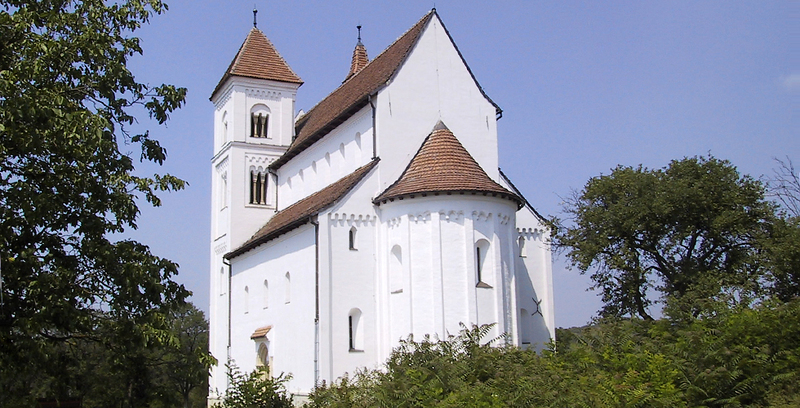 The building of such a construction at the eastern border of the Hungarian Kingdom, within which Transylvania was already integrated at the moment the church has been built, finds its explanation in the political and administrative evolution of the region, which, during 12th – 13th centuries was made up of a multitude of territories with different patrimonial and legal regimes, some of them being linked to the Royal Lands, some others to laic and religious noblemen. The firsts, inhabited by colonists, beneficiaries of privileges, will build up the Saxon District of Bistrita (Nösnerland), the others, situated on the territory of the shires will remain under the rule of several powerful noble families: Kökényes-Renold, Kacsics, Apa, Bethlen. Herina was situated on the territory of the shire Dăbâca, being one of the feudalities under the rule of the family Kacsics. 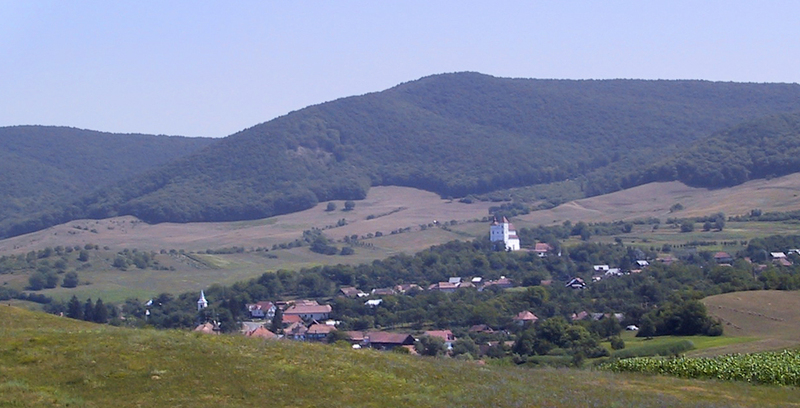 The first documentary mention of the settlement dates back in 1246 in a document of the King Bela the 4th, who took out of the jurisdiction of the Transylvanian Voyevode „and not to be forced to obey somebody else’s judgment except for their bishop or judge” the inhabitants of several feudalities belonging at that time to the Bishopric of Alba Iulia, among which, Herina,”as well as the guests, free men, that will first settle there”, with the purpose of encouraging the re-inhabitance of the respective settlements following the losses suffered “because of the spiteful persecution of the Tatars”. Medieval documents attest the fact that around 1200 Herina was part of the large feudality of Dionysius Kacsics who was treasurer at the court of the King Andrew 2nd. His son, Simon was among the initiators of the conspiracy that in the year 1213 ended with the murder of the king’s wife, the German princess Gertrud. King, under the name Bela the 4th, her son reopened, in the year 1228 the process against the authors of this murder, punishing the conspirators whose fortunes were seized, among which, those of the Kacsics family. Under these circumstances Herina entered the possession of the catholic bishopric of Alba Iulia. 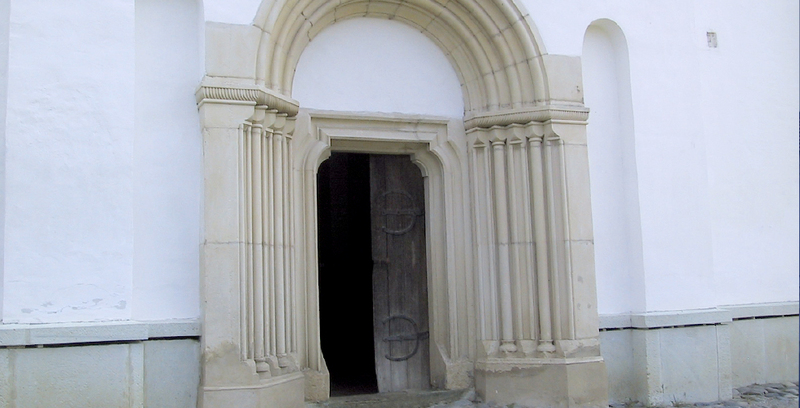 When, in 1319, the Kacsics family regained a part of its Transylvanian possessions, Herina was not among them, this further remaining in the possession of the catholic bishopric of Alba Iulia. The efforts of the Transylvanian Voyevode Thomas, to receive the possession of the bishopric vilages Herina, Domneşti and Neţeni (villa episcopales Harenam, Byloc et Nehec) lede even to the intervention of the Pope himself who threatened the latter in the year 1341with excommunication if he doesn’t give up these feuds and compensate the bishop. In the year 1347 the bishopric regains possession of the feud Herina together with the obligation to pay an annuity in amount of 20 marks to Dominic of Gâmbaş. Only in the year 1395, following a properties exchange between the bishopric of Alba Iulia and the Transylvanian Voyevode, the three feuds change their owner. Shortly after, in the year 1402, Sigismund de Luxemburg donates the three villages to Antonius de Şintereag to whom he repays this way his loyalty and the courage on the battle field. The feud changed its master again in the year 1411, when it entered under the rule of Thomas Farkas of Săsarm. His testament from the year 1449, awards, besides the donations made to other churches, for the church under the patronage of St. Petrus from Herina, a silver plate worth 6 marks. The branch of the family Farkas of Herina will keep on possessing the feud during the next centuries, the residence of the family being built near the church. 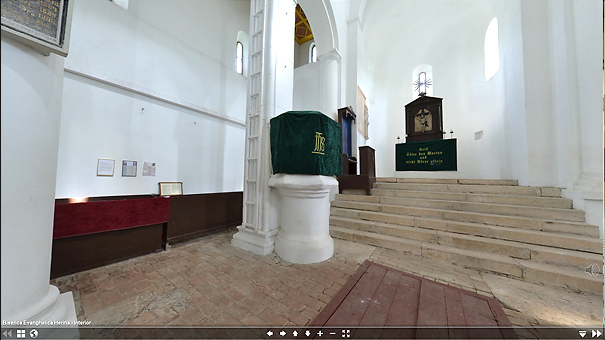 The evangelic church, historical monument, recently entered in the custody of Bistrița—Năsăud Museum Complex, is the most representative expression of the Transylvanian Romanic architecture. The construction is of basilica type with three naves, with two towers on the western façade that enframe the portal with half circular opening supported on pilasters and columns. 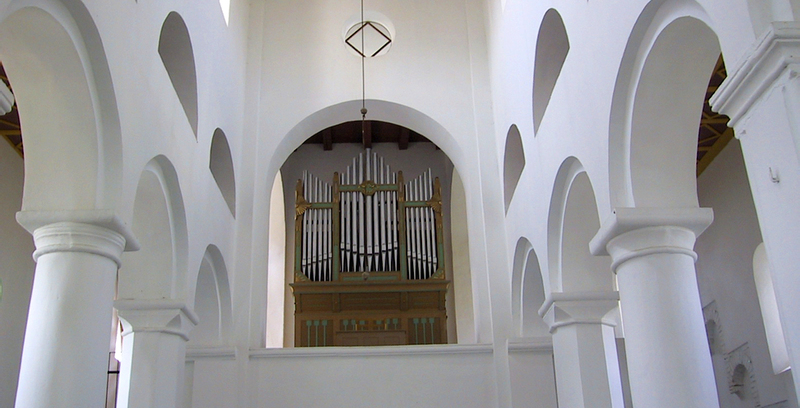 To the east, the main nave closes in a half-circular apsis, the lateral naves have rectangular closings to the outside, and half-circular apsis to the inside. The facades have windows with half-circular openings and denticulate friezes and also half-circular arcades. The inner space presents a special rhythm built up of pairs of columns and pillars that sustain the arches of the central nave. On the western side there is built a tribune, accessible by means of a ladder on the northern wall, whose steps are connected by a chain of arches supported on stone consoles. The church has kept its unitary character as a Romanic church, without suffering any major modifications during the restoration works, being a noble building built around the year 1200.